The next couple days offer a few more concert options. Tuesday night Lucky Dragons play Face the Strange at the Museum of Contemporary Art and Daniel Knox wraps up his residency at the Hideout. On Wednesday you can check out Buddy Miller & Jim Lauderdale at Lincoln Hall or Mountains at the Hideout. Be sure to check out Soundboard for more recommendations and read what our writers have to say about Mouse on Mars and Moonspell after the jump. 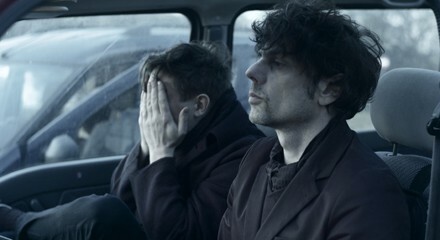 German electronic duo Mouse on Mars have been around for two decades, and Peter Margasak has been a fan of their work throughout the years. "Every single Mouse on Mars record still brings me pleasure, which is more than I can say for most of the music I bought during the heyday of electronica in the late 90s," he writes. Last year the group released its first album in six years, Parastrophics, and it comes with Margasak's recommendation. "Parastrophics is a dense collection of ricocheting bleeps, bulbous melodic blobs, and rubbery, tightly coiled grooves whose aesthetic falls somewhere between J Dilla and Flying Lotus, and it's as packed with ideas and sonically dynamic as anything in Mouse on Mars's oeuvre." According to Monica Kendrick, Portugal's Moonspell has been making a name with goth-influenced melodic metal since the early 90s. "At times Moonspell have struggled to balance their dueling tendencies toward beauty and brutality, but on their best records, including their 1995 breakthrough, Wolfheart, they achieve a searingly perfect alchemy." writes Kendrick. "Last year’s Alpha Noir/Omega White (Napalm), their first double album, is like taking a machine apart to show the gleaming clockwork—it separates out the strands and shows how they work."